We host the best full-service children's theme parties at our fabulous Tarzana location. With Diva Girlz you can always expect an exceptionally fun-tastic birthday celebration that everyone will enjoy! 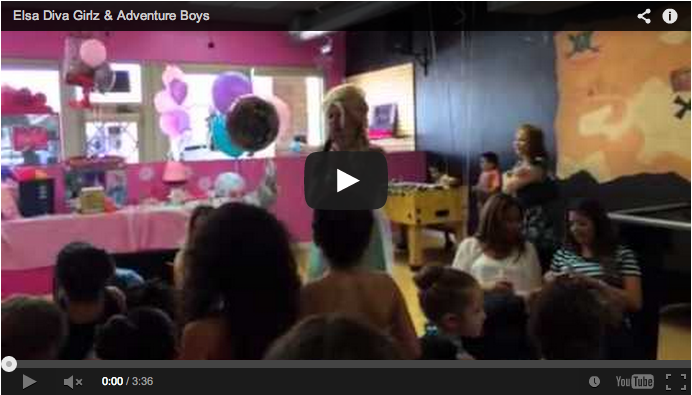 Choose Diva Girlz & Adventure Boyz For Your Next Party or Event! Located in the San Fernando Valley, we’ve been in business since 2007 making dreams come true. We have some of the best party packages at the best prices to offer. Our parties are from 1 ½ hours to 2 ½ hours, and making our customers happy is our number one priority. If you can dream it we can create it! We offer both in-house parties in our fabulous, interactive, whimsical location in Tarzana, or in the privacy of your own home. Our mobile parties service both Los Angeles & Ventura Counties. At Diva Girlz & Adventure Boyz the Birthday child is always free! Take a click around and make sure to review our A la Carte options to truly make this a spectacular event your child will never forget.